NEW YORK , New York, December 13, 2016 (ENS) – The federal government will take action on a petition by the state of New York seeking to close a loophole that currently allows highly flammable crude oil to be shipped by rail through communities in New York and across the country. Attorney General Eric Schneiderman is pleased that the federal Pipeline and Hazardous Materials Safety Administration (PHMSA) will act on his petition. “In New York, trains carrying millions of gallons of crude oil routinely travel through our cities and towns without any limit on its explosiveness or flammability, which makes crude oil more likely to catch fire and explode in train accidents,” he said. In December 2015, Schneiderman filed a petition for rulemaking to the PHMSA that would require all crude oil transported by rail in the U.S. to achieve a vapor pressure of less than 9.0 pounds per square inch. The petition directly addressed the fact that despite recent derailments of trains carrying crude that have resulted in extraordinary explosions and uncontrollable fires there is no federal limit on the vapor pressure of crude oil transported by rail. 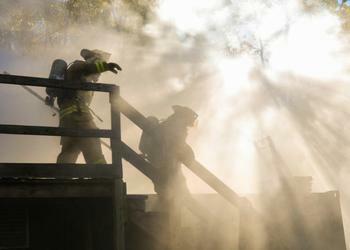 The petition argues that reducing crude oil vapor pressures to levels below 9.0 psi is not only practical, but is necessary for minimizing the risks and severity of accidents involving railroad tank cars. Citing the Attorney General’s petition, PHMSA announced that it will be seeking comment on vapor pressure thresholds, and will evaluate the potential safety benefits of utilizing a threshold in regulating the transport of crude oil and other dangerous materials. The comment period will begin on December 30, 2016 and end February 28, 2017. Vapor pressure is a key contributor to crude oil’s explosiveness and flammability. Crude oils with the highest vapor pressures – such as crude produced from the Bakken Shale formations in North Dakota – have the highest concentrations of propane, butane, ethane, and other highly volatile gases. 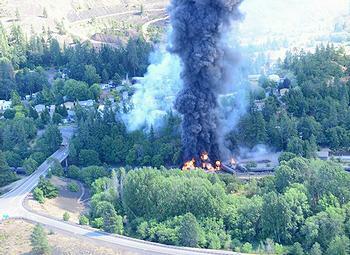 While the vapor pressure of the crude involved in train accidents is frequently not disclosed, in the limited number of instances it is known – including the horrific Lac-Mégantic, Quebec accident on July 13, 2013 when a derailed oil train burst into flames, destroyed the downtown area, and killed 47 people – vapor pressures have exceeded 9.0 psi. The rulemaking announcement can be found here.